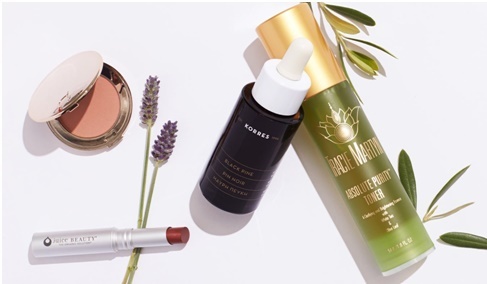 If you are someone that always likes to stay up to date with the latest beauty trends, chances are you’ve been contemplating which new beauty products to give a try. With an increase of new beauty products coming out frequently, it can be confusing to figure out which ones are right for you. One of the first steps to knowing which beauty products are right for you is to know what type of skin you have. You don’t want to use products for dry skin when your skin is oily. Oily skin produces too much moisture so adding beauty products that are meant to provide extra moisture will not work. It’s important to find out if you have oily, dry or combination skin. Once you’ve determined the type of skin you have you can then find the best possible products to give you the most benefit. If you are looking for products to help minimize the appearance of fine lines and wrinkles you may be interested in trying out anti-aging products to help take care of this issue. With a variety of new skincare products to help with anti-aging there are many out there to try. So how do you know which are right for you? Determine your beauty budget ahead of time. This will help you to narrow down your search of skincare products once you’ve determined your needs. Making a list of your skin concerns can help you to determine the best types of products. When it comes to finding out which skincare products are best for you, one of the best ways is to get personalized advice. Checking out a trade show that specializes in skincare is a great way to ensure you are getting the best possible beauty products. Browse this site to find out where you can find the best possible beauty products and trade shows around. Before you make the final decision on which types of new beauty products to try, you may want to shop around. Shopping around will help you to determine the best price possible. Do your research ahead of time to ensure you have found the best possible pricing. This can help you to save money on your beauty budget. Buying beauty products can become overwhelming when you are unsure of the types you should purchase. By doing your research ahead of time and learning your skin type, you can learn the type of products you should purchase. Before setting out to buy any new beauty products, get a personalized beauty plan to find out which new products will be best for your skin type. You don’t want to waste money on products that will just end up sitting on your shelf. Instead ensure you are getting the most bangs for your buck and the products you purchase will be used frequently.